We are one of the prominent manufacturers, suppliers and exporters of a wide range of Electronic Balances & Accessories. Our products are known for their durability, high performance and high strength. Contech Instruments Ltd., an ISO 9001 2008 certified Company is the largest manufacturer and exporter of High Precision Electronic Balances in India manufacturers wide range of Electronic Balances,Weighing Scales & Laboratory Equipments. 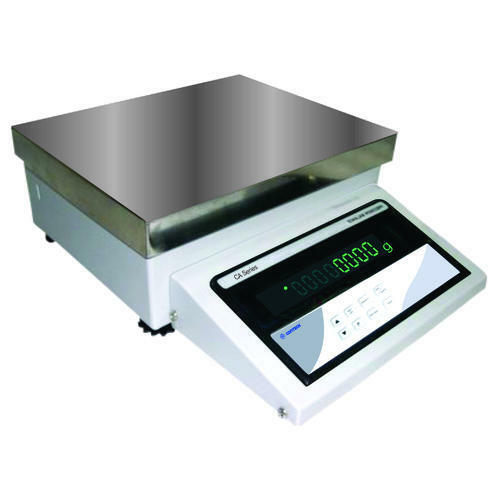 The products includes laboratory balances, moisture balances, jem & jewellery balances, supermarket scales, health scales, industrial scales, cranes scales, weighing indicators, breeze shield, mini printer, motorized calibration, flameproof junction box and standard weights, electronic weighbridges, scales for special applications, etc. company has added range of Laboratory Equipmetns like pH meters, conductivity meters, meltingpoint apparatus, polarimeters, digital refractometers and also X-ray Gold Purity Testers.